The raw food crazies are making themselves sick. 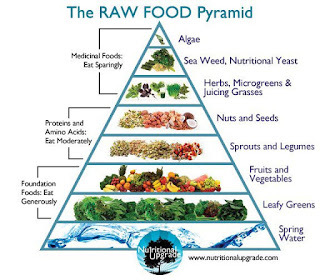 There's a thing called the Raw Food Movement that has been growing in popularity in recent years. Proponents argue that it's far healthier than our usual (human) diet of cooked foods, claiming that cooking removes many of the natural enzymes that make food nutritious. They also believe that cooking creates harmful toxins. 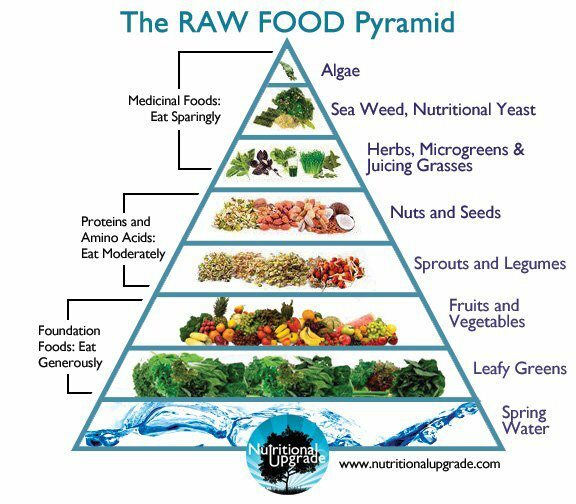 What's really happening, though, is that raw foodies are putting themselves at risk of serious bacterial infections. Just last week, we learned that a salmonella outbreak tied to raw food has sickened people in 15 states so far. The CDC reports that the outbreak is linked to Garden of Life's RAW Meal Organic Shakes, which come in chocolate, vanilla, and vanilla chai flavors. The FDA issued a recall and warned that "persons infected with Salmonella often experience fever, diarrhea (which may be bloody), nausea, vomiting and abdominal pain." According to the CDC, no one has died from any of these Salmonella infections, although 4 people have been hospitalized. It's not clear why raw food is so trendy, other than the obsession of some people with everything "natural." "The ancestors of modern humans who invented food processing (including cooking) gained critical advantages in survival and fitness through increased caloric intake." Cooking our food has another huge advantage as well: it kills harmful bacteria and viruses. The current Salmonella outbreak could easily have been avoided if people had simply cooked their food instead of consuming raw shakes. "Science now proves that cooking not only destroys nutrition and enzymes but chemically changes foods from the substances needed for health into acid-forming toxins, free-radicals and poisons that destroy our health!" "plant enzymes, which raw dieters wish to preserve, are largely mashed up with other proteins and rendered useless by acids in the stomach. Not cooking them doesn't save them from this fate. Anyway, the plant enzymes were for the plants ... they are not needed for human digestion. Human digestive enzymes are used for human digestion." Raw foodies also love raw milk, another dangerous trend, which has sickened thousands of people in the U.S. over the past decade. That topic deserves another column all to itself, but for now, suffice it to say that one of the greatest scientists of the 19th century, Louis Pasteur, discovered that heating milk briefly can kill a host of dangerous pathogens. Pasteurization, which is named for him, has been rightly credited with saving millions of lives. A few years ago, the Royal Society named pasteurized milk the 2nd greatest invention in the history of food (after refrigeration). Obviously some foods, fruits in particular, are generally eaten raw, and fruits are indeed very healthy. But don't be fooled into thinking that cooking somehow makes food bad for you: it doesn't. Cooked food is easier to digest, more nutritious, and to most of us, pretty darned tasty. Thank you. The Facts cannot be repeated often enough.